You can call Charlie on 5914970 and he will deliver in either bunches of flowers or beautiful arrangements on Monday mornings to keep your business as beautiful as LOTUS Day Spa & Café or anytime during the week for a special occasion! 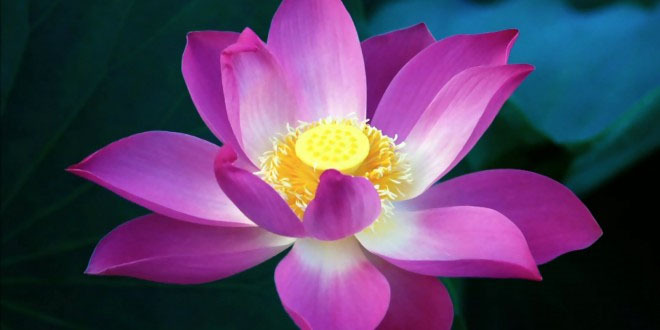 Especially beautiful and unique are the amazing LOTUS flowers. Charlie has a real gift and eye and is very highly recommended. 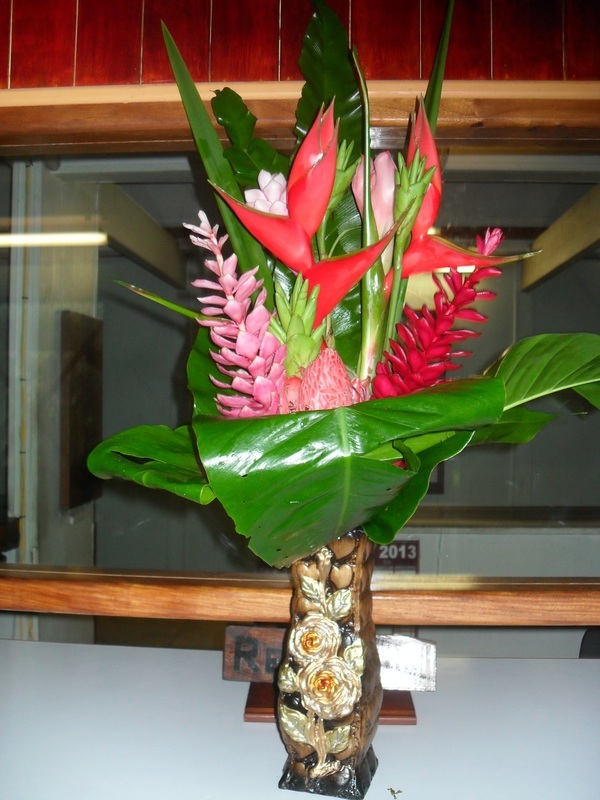 Another option is to book an appointment at Lotus and we'll arrange to have your flowers delivered with ours! They are also available at the market, but ordering direct will get you much better prices! 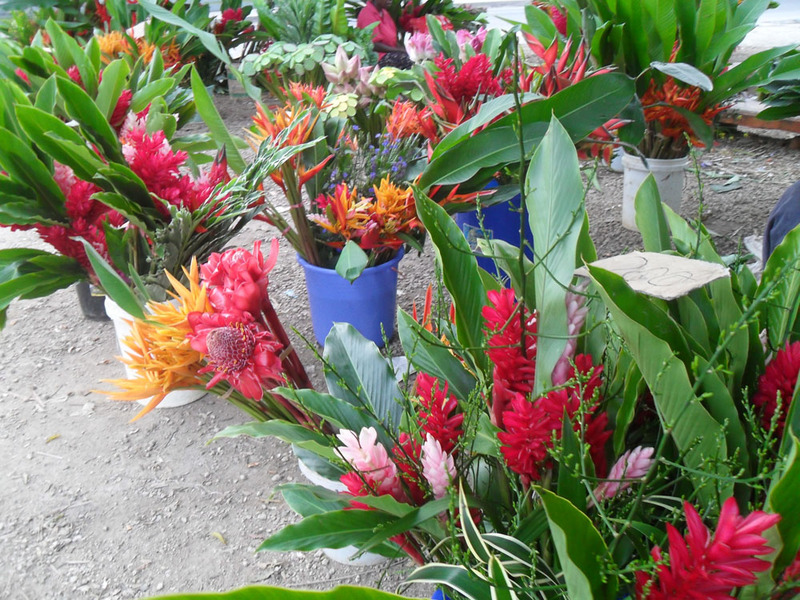 Gingers are one of the most beautiful and colorful flowers in the world of flowers. 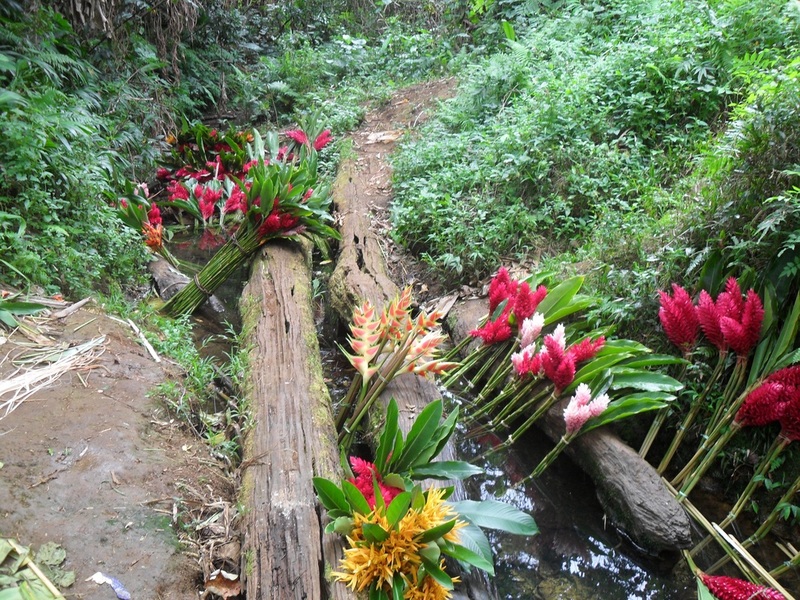 Botanically, Ginger is a rhizome of the perennial herb which is indigenous to the South west coast of India and the Malabar coast of the state of Kerala. 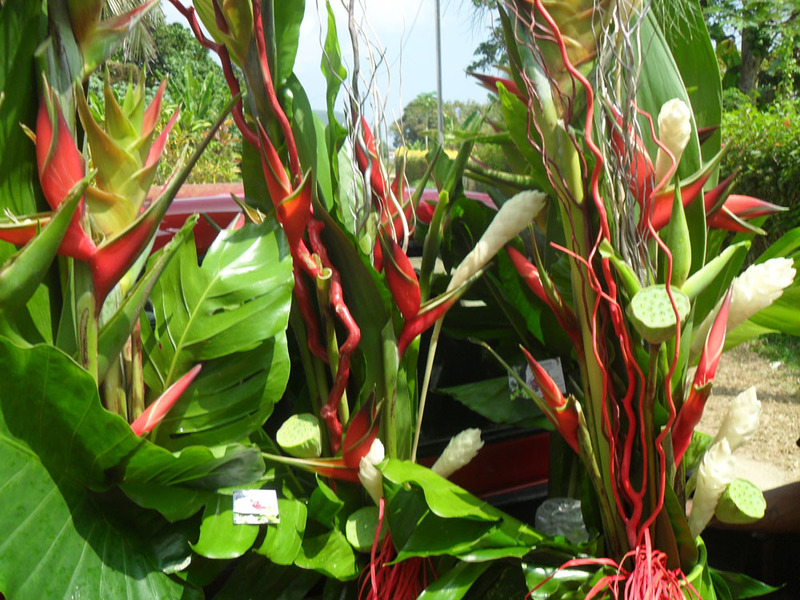 Gingers, a multifaceted herb, enjoy a special position in the botanical kingdom with their elegance in form, texture, sparkling color, and amazing symmetry. 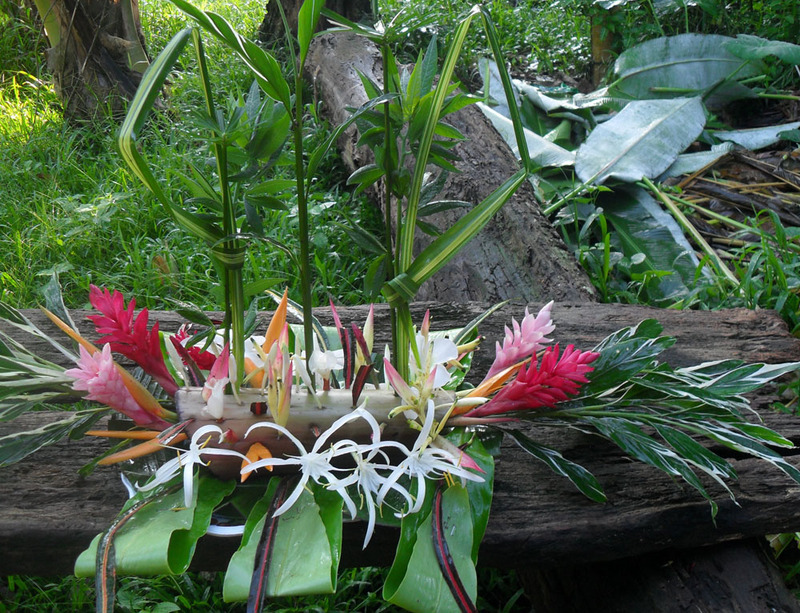 The word ginger conjures up images of an exotic oriental food flavoring; however, edible ginger - Zingiber officinale, is only one of approximately 1,300 species of the very diverse Zingiberaceae family. 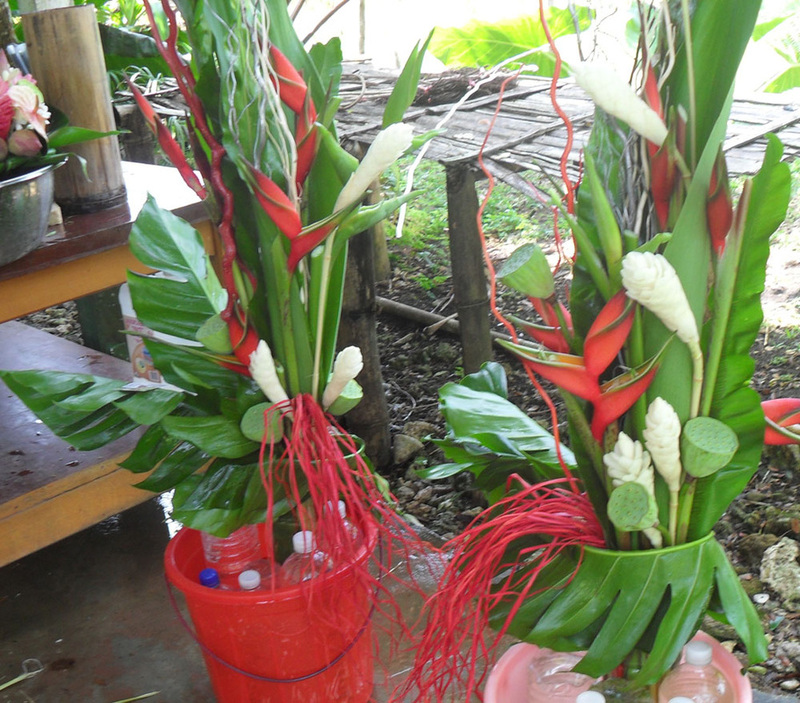 In Vanuatu you will see pink, white and red ginger and Charlie will delivery then either in bunches or in arrangements per your request! 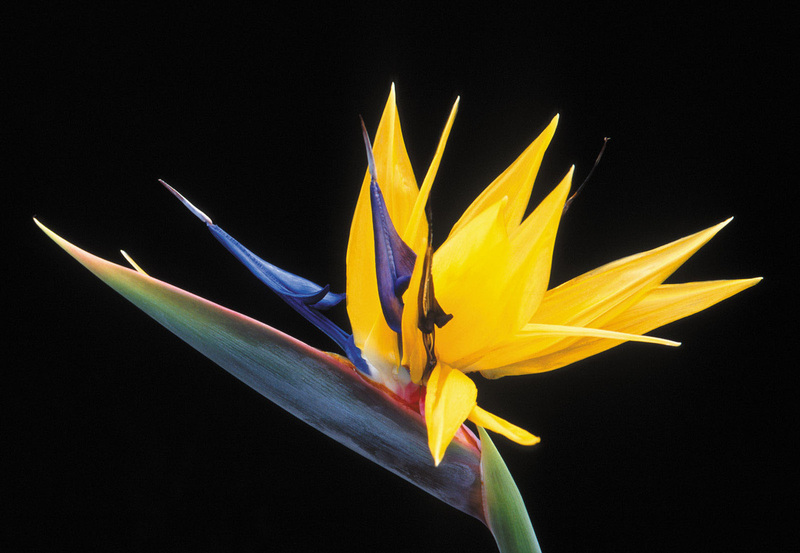 The bird of paradise flower is so-named for its remarkable bird-like appearance when in bloom, is a favorite among horticulturists and can be found growing in gardens worldwide. 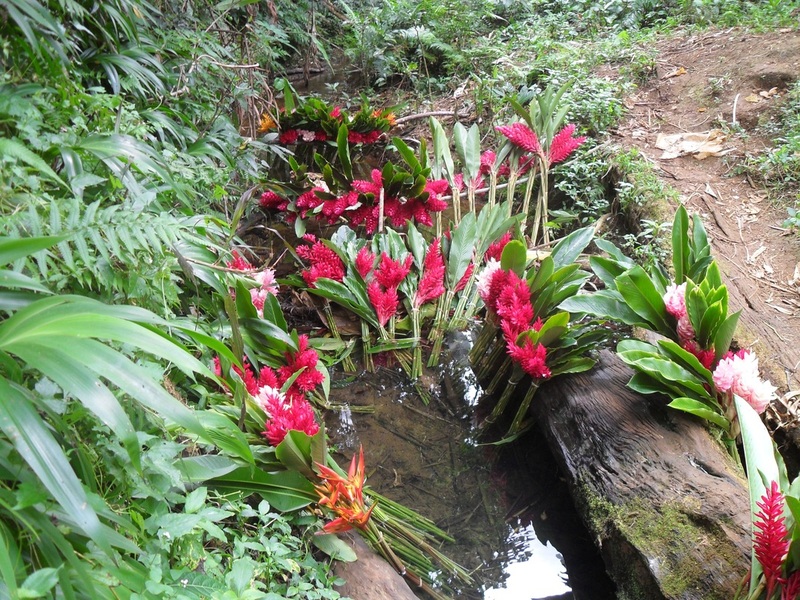 In the wild, however, the plant’s range is limited to the subtropical coastal thickets of South Afria between KwaZulu-Natal province in the southeast and the south-central Eastern Cape province. 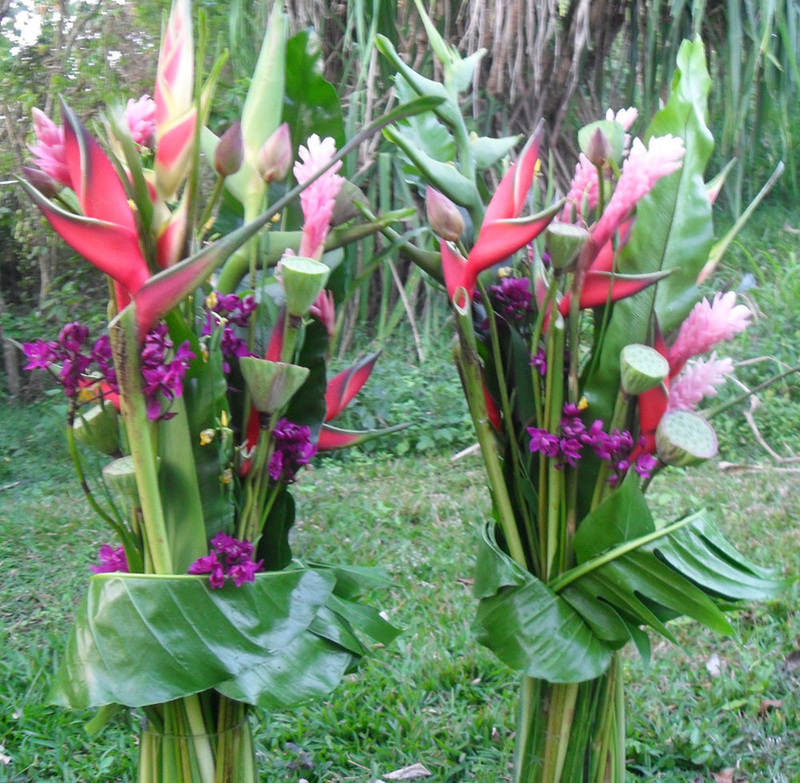 In Vanuatu you will see it growing in various colours and it makes an excellent addition to any flower arrangement. Remember when clients come into your home, office or business and see a beautiful flower arrangement, it will leave a lasting impression regarding your taste and your attention to detail. It will also bring OTIUM ! years ago. 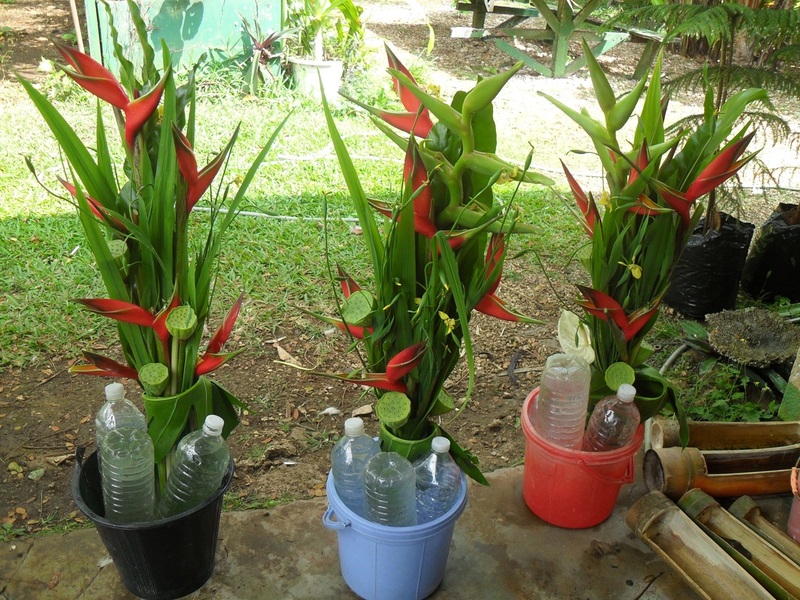 Native to Tropical Asian nations and Queensland, Australia,it is commonly cultivated in water gardens. The most captivating characteristic of the Lotus flower is that itgrows in murky and shallow waters. 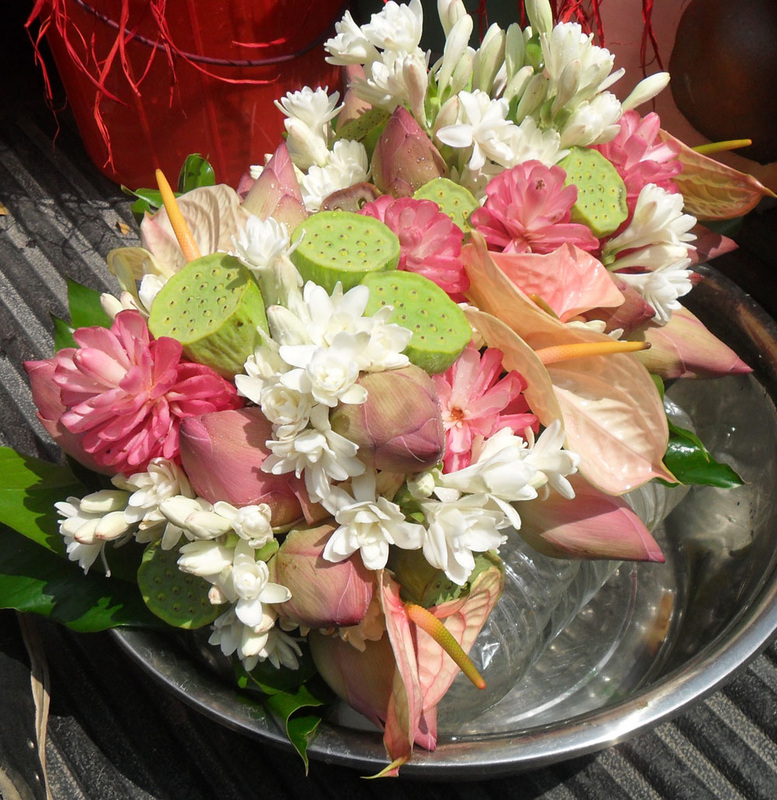 Lotus flowers are hermaphrodite (has both male and female organs). 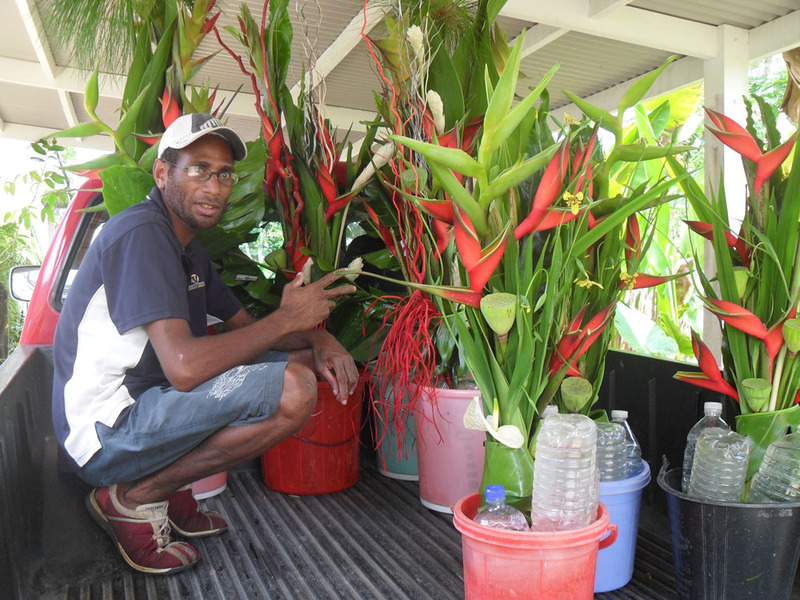 Lotus flowers are Charlie's specialty and he is the only commercial grower in Vanuatu. 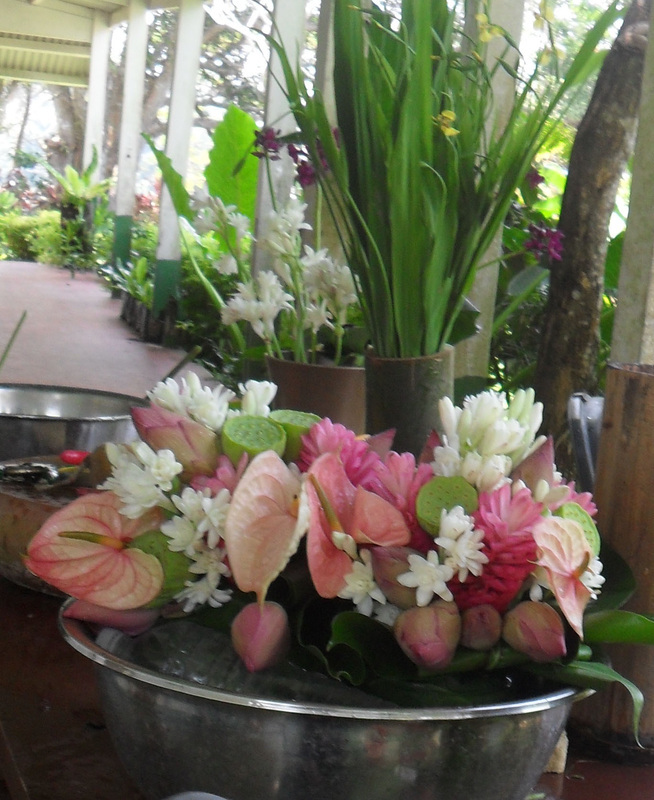 You can find beautiful Lotus flowers at LOTUS Day Spa & Café.